The Art Museum: "Happy Birthday Mr. Disney"
"Walt once said, 'If we can dream it, we can do it.' 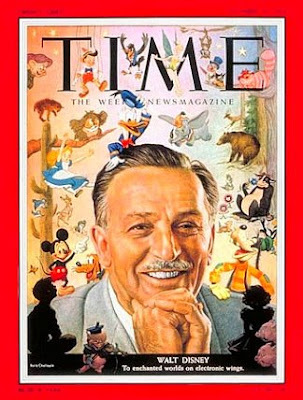 Then he showed the world how to give cartoons a heart, make an animated feature film, and build Disneyland. Experts bet on his failure at every turn. When Walt did encounter major setbacks he had a way of turning them into a success." -- excerpt from "Walt Disney, The American Dreamer" by Tom Tumbusch.